Combine fall foliage viewing and harvest activities with the opportunity to meet and purchase art directly from artists and artisans across Vermont. 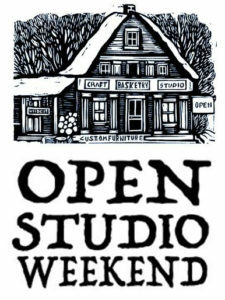 Bright yellow signs compete with oranges and reds of October along Vermont’s roads enticing visitors to the studios of craftspeople and fine artists across Vermont during the 2018 Fall Open Studio Weekend over October 13 & 14. The Vermont Crafts Council is coordinating this event with American Craft Week, a national celebration of craftwork. Begin your tour at the Guild Gallery at 7 Center St. in Brandon, where you can see the work of our 30+ member artists and pick up a free map of participating artists statewide. See our artists at work. 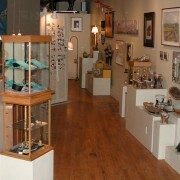 Guild artists will be demonstrating their work at the gallery throughout the weekend. It’s a chance to see how fine silver jewelry is crafted, learn about stained glass techniques or see a watercolor painter at work. Free and open to all.